Weekend of working out for Kiwi team! This weekend has turned into a weekend of working out for some of the Kiwi Design team, with a Spartan Beast, the Bournemouth Marathon Festival and a milestone parkrun. We certainly can’t take credit for planning it that way, but it’s great to see staff setting and hitting their physical fitness goals. Here’s what we got up to! Known for throwing himself around long-distance obstacles courses with less training than a medical professional would consider safe, Andy has successfully completed a Spartan trifecta this summer. The final race “the beast” was completed last Sunday in Windsor; with obstacles such as carrying 50kg atlas balls, 60lb sandbags and crawling through mud! Considering himself as the fittest Project Manager on the team, Andy completed the race in the top 5% and still turned up at work the next day in one piece! Well done Andy! 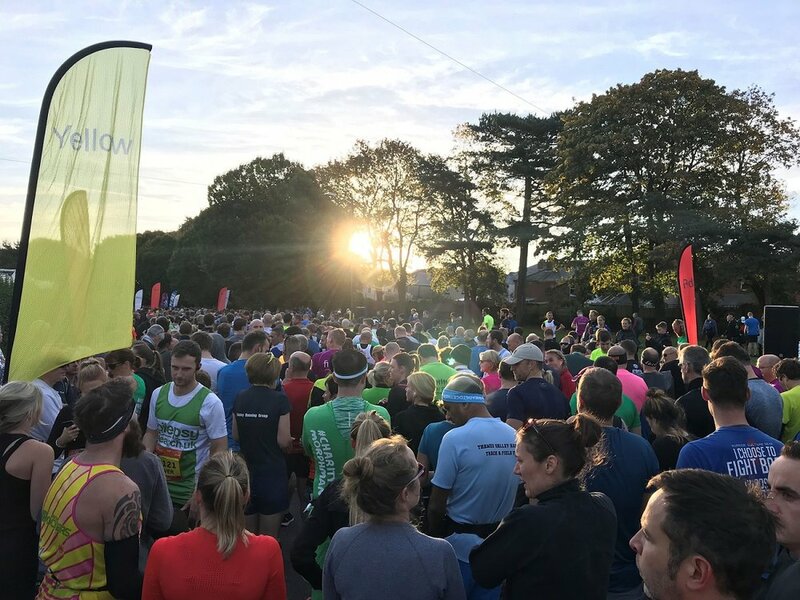 A keen long-distance runner, Neil completed the Bournemouth Half Marathon on Sunday as part of the annual Bournemouth Marathon Festival. It was a beautiful day for it, thankfully dryer than the Saturday and chilly but sunny. Completed in a great time of 1 hr 41 mins, Neil came in the top 5th of the 3,891 half marathon runners, excellent work Neil! Not quite a Spartan Beast, or a half marathon, Sarah is proud of her 5km accomplishment in her own way. Her longest run in over 4 years, and the first since a broken toe, 2 lots of surgery, oh, and giving birth, Sarah was ecstatic (and exhausted) to complete Moors Valley Park Run number 152 in 30 mins 51 seconds. The running bug is definitely back and Sarah hopes to smash the 30 min barrier at another park run over the next few weeks/months. Hopefully in drier conditions, and without dragging an unsuspecting friend around with her! Supporting Youth Football - The 2018/2019 season begins!